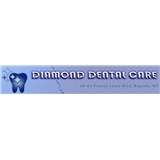 Diamond Dental Care (Bayside) - Book Appointment Online! Dr. Khan is an excellent dentist. I am having extensive dental treatment and the results are amazing!!! He is thorough, professional and listens to all my concerns. I have recommended Dr. Khan to several of my family members and friends, and they are all content with him. It is worth traveling all the way from Manhattan to see him. Grateful to my friend for recommending him to me ? ?.